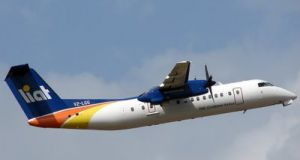 The board of LIAT airline is clearly feeling the pressure of mounting ongoing criticism of its consistent inability to achieve a stable business model and to provide a vital intra regional air service in the Eastern Caribbean on a reliable basis. Unfortunately, the announcements of 6th March from the LIAT chairman, Jean Holder, strongly suggest a strategy still devoid of any coherent business sense. Take on huge investment in multiple new aircraft but then shrink the airline’s network? “Passing strange” and “wondrous pitiful”, to quote Shakespeare. If, instead, this is Dr Holder’s idle threat, designed to panic other regional governments in to investing in an airline with such a tarnished reputation, then that also is a strategy likely to fail. If LIAT Chairman Jean S. Holder wants to communicate ideas, why didn’t he electronically publish? 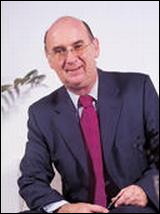 LIAT’s Chairman Jean Holder launched his new book last week. Caribbean Tourism is probably a very worthwhile read if for no other reason than the author is the current victim in charge of LIAT Airlines. 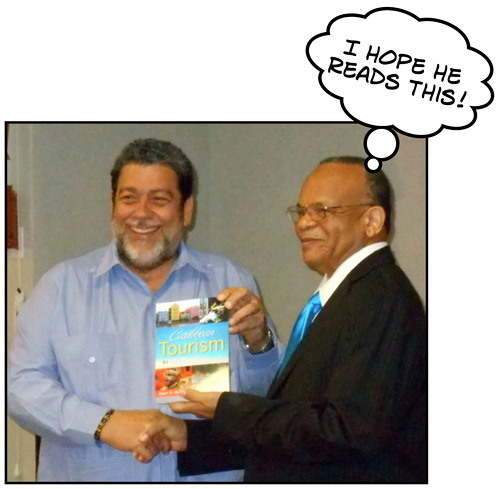 Our old friend Bajan Reporter posted an excellent review of the book by Sir Ronald Sanders that makes me want to run out and buy a copy, but alas… the book sells for US$40. Sorry old bean, I’ll have to defer that read. Why oh why in this age of iPhones, iPads, MS tablets and online electronic publishing at Amazon did Dr. Holder only publish a dead tree version of his book and at a price that virtually assures only a handful of people will read what he has to say? Dr. Holder won’t make any money anyway – few authors of such narrowly targeted books make anything worth talking about – so why not publish electronically and move a hundred times more copies than on paper? Come on Doc… publish the new book electronically for US$10 a copy and I’ll buy and read your ideas. Thanks to Ian Bourne for allowing us to steal his photo. We were saddened to hear from Adrian Loveridge that this year’s annual ‘re-DISCOVER The Caribbean’ show probably won’t happen. We see the website is down and that looks like the end: barring some miracle. A shame really, because the show more than paid for itself and promoted pan-Caribbean travel. Too bad the Barbados Tourism Authority didn’t think of the show themselves because then the BTA would have backed this very successful marketing effort. 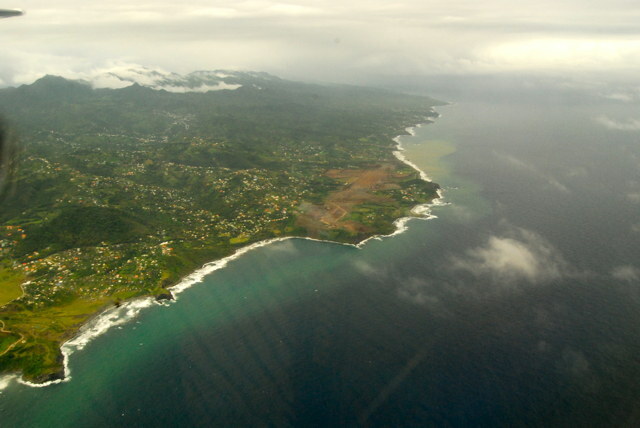 Argyle International Airport in St. Vincent within a year? Not going to happen! Mention was made in your article American Eagle pullout from Puerto Rico hits Barbados hard, of the completion of Argyle International Airport in St. Vincent within a year. This is impossible… construction drags on in fits and starts. Here are photos taken two days ago, April 9, 2011. I am not an expert by any means, but does it matter that it is aligned almost due north with the Trade Winds coming in crosswind from the side? The pilots and airport followers may like to comment. To build an international airport in this economic climate is no joke! But I suppose it helped to win a recent election. 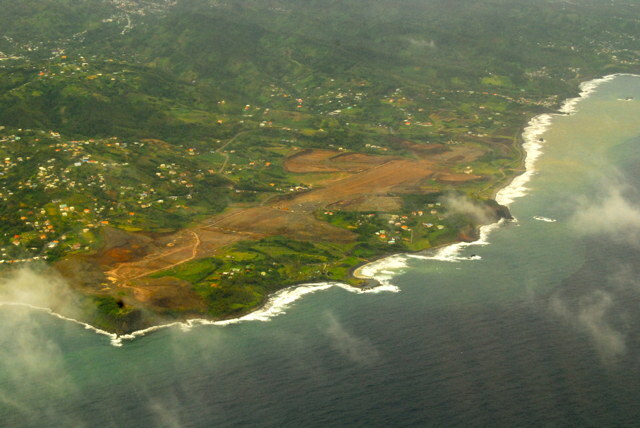 Constructing the Argyle International Airport: Where are we?